In her main petition, Kasha Elizabeth Vande has challenged her deportation to the US and denial of entry in to India despite having a valid business visa. New Delhi: The Delhi High Court today asked the Centre to apprise it about the criteria and list of activities allowed to be carried out by a person holding a business visa. The court sought to know the details from the government while hearing a plea by a 48-year-old American woman entrepreneur, who has been blacklisted and was denied entry to India, where she had been residing for over a decade prior to her deportation on January 5. Justice Rajiv Shakdher also sought the response of the central government on a plea by the woman seeking an interim relief that she be allowed into India during pendency of the main petition. During the hearing, advocates Shoumendu Mukherji and Raghav Awasthi, appearing for Vande, said the woman should be allowed to come on New Delhi as an interim relief since there was an urgency as she was the organiser of a popular photo exhibition 'PondyPHOTO', scheduled to be held this year in Puducherry. The photo exhibition was widely popular around the world attracting various artists, high sponsorship, as well as partnership by the Puducherry government, positively impacting tourism and economy of the union territory, the counsel said in the plea. Central government counsel Aseem Sood said the petitioner should explain the fresh ground for seeking the relief and claimed that the woman was running an NGO here which was prohibited under the visa norms. The court listed the matter for further hearing in the matter on May 22. The woman's counsel said that she has never violated her visa norms and she was black listed and deported out of India without giving a chance of a hearing and detailed ground. 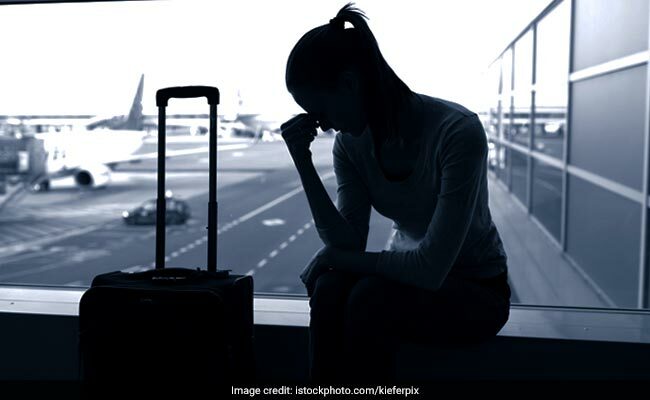 A division bench of the high court had on recently directed the Centre to inform the woman the reasons for blacklisting her and denying her entry into India, within five days. The court's order to provide the reasons for the decision had come on the woman's plea against the single judge order of March 12 declining to give any interim relief to her. According to the woman's plea, she was denied entry into India despite having a valid business visa. She has also claimed that she had been residing in India for 10 years before her deportation in January this year. The government had earlier defended its action, telling the single judge that she was deported as she was running an NGO instead of a business for which she was granted the visa that was valid till 2027. It had told the court that the visa was given to the woman to come here to set up and run a business and not to live here for over a decade. The woman, in her plea, had claimed that she was running an organisation which was promoting tourism in Puducherry with the support and permission of the government there. According to her plea, she was running a cafe and boutique named Kasha ki Asha in Puducherry. A plea was moved in January challenging her detention at the Chennai airport when she had returned from the US. However, by the time the matter reached the court, she had already been sent back.